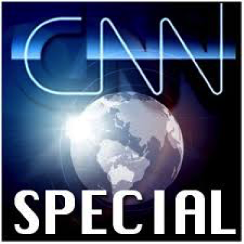 6:00 p.m. “Good evening and welcome to CNN News. At this very moment in deep space, a hazardous undertaking is under way. We have learned that the veteran astronauts aboard Bolo One are sending the youngest member of the crew, Dr. Carl Wilson, outside the spacecraft to perform a harrowing space walk. “Mission Support has not, as yet, shared all of the details. We only know that Dr. Wilson will be removing some of the insulation from the outer hull. The reason for removing the insulation is unclear. There are many electrical components and life support systems, as well as the ship’s water supply, housed in the outer hull. Depending on what part of the hull is exposed to the extreme temperature fluctuations between the sunny side of the ship and the shady side, experts warn that the water supply will either flash freeze, or vaporize into steam. And of course, as the craft is spinning through space this freezing and boiling could oscillate back and forth from one extreme to the other, every minute. Of course, as the ship is traveling in the configuration it is in, it is keeping one side to the sun and one side to the shade at all times by design. The reporter was obviously unaware, or at least poorly informed, of this fact.